The fashion world is generally said to be short-lived and fast-paced, at least when it comes to trends. However, long-lasting vegan fashion is desirable when it comes to living consciously and conserving resources. 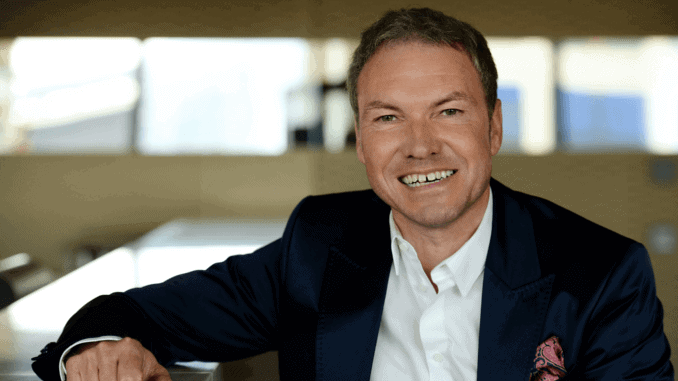 We interviewed Olaf Schmidt – Vice President of Textiles & Textile Technologies – about the Ethical Fashion Show, the sustainability trend and upcoming developments in the fashion industry. How vegan is the Ethical Fashion Show currently? Last year at our “Ethical Fashion Show Berlin” and “Greenshowroom” trade fairs, which took place in the Kraftwerk at the same time as Berlin Fashion Week, we had over 40 labels offering vegan fashion. In total, around 170 international labels presented their sustainable collections. 100% vegan fashion ranges include “Format”, “Goodsociety”, “Greenbomb”, “Jonny’s Vegan”, “Lovjoi”, “Mud Jeans” and “Skunkfunk”. There are also many labels whose collections are at least partly vegan. We expect a large number of vegan-producing fashion labels at the upcoming trade fairs from 3 to 5 July 2018. How strongly is the topic of “vegan fashion” developing – nationally & internationally? As we all know, vegan diets and sustainable lifestyles in general are becoming increasingly common in our society. Vegan fashion is becoming increasingly important, especially as consumers become more concerned about the conditions and materials under which their fashion is produced. Europe, and Germany and its neighbouring countries in particular, are taking a pioneering role. Most of our vegan labels come from this region. But there are also examples of very successful sustainable business models at an international level. We always welcome labels from Central & South America and Asia, which impress us with progressive concepts. Which new vegan materials are currently in vogue? The new generation of fashion labels successfully uses vegan and environmentally friendly materials in many different ways and in some cases in very innovative ways. For example, swimwear made of plastic fished from the sea, clothes made from PET bottles or bags made from airbags. In general, upcycling, reuse and recycling are key terms for the future-oriented fashion industry. Thus, more and more biodegradable materials are being used in outdoor applications. In addition, new developments – such as “Piñatex”, a leather-like material made from pineapple leaves – offer high-quality alternative materials. Which target groups buy vegan fashion? When it comes to end consumers, as expected, it is mainly enlightened and consumer-conscious people who are specifically looking for vegan fashion. Driven by increasing demand, more and more retailers are expanding their product range to include sustainable labels and collections. Retailers will get the best overview of vegan fashion and eco-fashion throughout Europe – perhaps even worldwide – at our trade fair duo, Greenshowroom and Ethical Fashion Show Berlin. We have noticed that in addition to representatives of concept stores specializing in eco-fashion, more and more conventional retailers are jumping on the progressive bandwagon and adding vegan and sustainably produced collections to their product ranges. In this way, they offer their customers contemporary fashion with a real added value that buyers increasingly appreciate. Are there figures and forecasts for the vegan fashion market? Oeko-Tex presented the results of a consumer study of over 11,000 people worldwide at our “FashionSustain” conference, which accompanied the fair in January. The vegan fashion market was not explicitly examined here, but rather sustainable consumer behaviour in general. As a result, there is a new movement according to which 40 percent of those surveyed want to consume sustainably. Although around 50 percent of those surveyed do not know how and with what effects on people and the environment textiles are produced, those who have the relevant information are rethinking their consumption. The study also found that 40 percent of those questioned are specifically concerned about harmful substances in textiles. There is also a new report from the “Ellen MacArthur Foundation”, which addresses the environmental service branch and was published at the end of last year under the title “A new textiles economy: Redesigning fashion’s future”. How big is retail chains’ interest in vegan fashion at present? It’s the nature of the big retail chains to move somewhat more slowly than trend-oriented concept stores. But here too there are developments towards vegan and sustainable fashion in general. Zalando is a good example. The online giant now explicitly identifies sustainable fashion as a separate category, thus demonstrating the added value of eco-fashion to its customers. A large delegation of Zalando representatives recently visited our trade fairs. Other large retail chains are also exploring the market and visiting our trade fairs – here too the trend is rising. What are the vegan fashion highlights of the upcoming show? From a vegan point of view there are again some material innovations to marvel at, such as sneakers containing stone from the Munich shoe label “nat-2”. Slate is made soft, light and flexible using an elaborate process and then transformed into truly unique pieces. In addition to stone, the label also processes wood, corn, cork and glass into shoes. “Jan’N June” is another example of exciting material innovations. In their minimalist collections, the Hamburg women use recycled polyester, among other things, which is obtained from plastic waste such as PET bottles. And accessories made from new materials are certainly among the highlights of the upcoming show: for example, chic bags from the Majorcan label “Maravillas Bags”. During production, the leaves of the pineapple plant are first broken down into fibres in order to produce a kind of nonwoven fabric. This is how the aforementioned leather alternative called Piñatex is created. We look forward to seeing what further developments and new discoveries our innovative industry has in store this time.